Peru won the first Grand Slam challenge of 2017 and jumped from 40th to the 33rd position in the GSR. 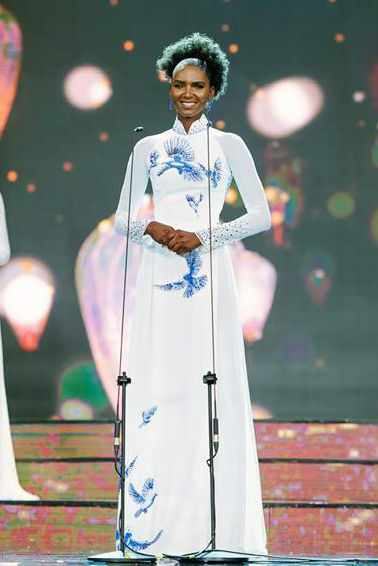 With the conclusion of the first female Grand Slam contest of the year, Miss Grand International, some important changes took place at the Grand Slam Ranking. Not surprisingly, Peru made a big move, going from 40th to 33rd place, after its Grand victory. The Top 10 remained unchanged, with Australia (7th, up 1) and Colombia (8th, down 1), switching positions. China (17th, up 1) also switched positions with Japan (18th, down 1). Vietnam, with one notch up, entered the "Top 30", in 30th place, replacing Angola, now 31st. The biggest mover of the year so far is South Sudan (59th, up 11). Laos debuted in the GSR already scoring its first point, placing 116th. Up 11 positions, it is so far the "mover of the year".